InterExchange participants prepare to walk across the Brooklyn Bridge. You're now be prepared to travel to the U.S. and begin your internship/training program! We hope that you have an amazing experience, and we look forward to speaking with or even meeting you while you are in the U.S. Please contact us throughout your program with any questions or concerns you may have and we will be very happy to help. Career Training USA online participant network. We sometimes post events happening around the country here, and you’ll be able to connect with other participants to plan activities together. In addition to these InterExchange resources, Visit the USA is an excellent resource for exploring cultural events and planning trips across the United States. Sign up for the Peer Mentor Program and match with a current intern/trainee who can answer any questions you have about adjusting to life in the U.S. 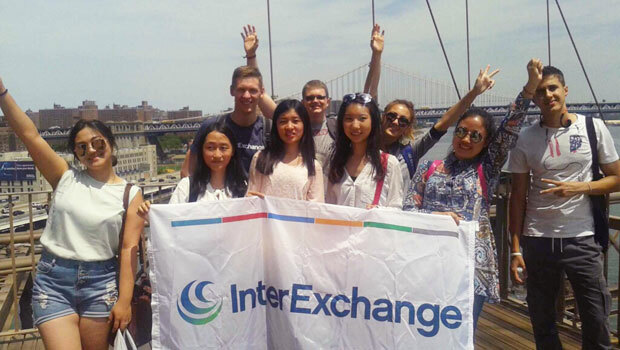 Thank you for participating in the InterExchange Career Training USA program! We’re looking forward to helping you enjoy a memorable cultural exchange experience while you gain valuable professional experience in the United States!